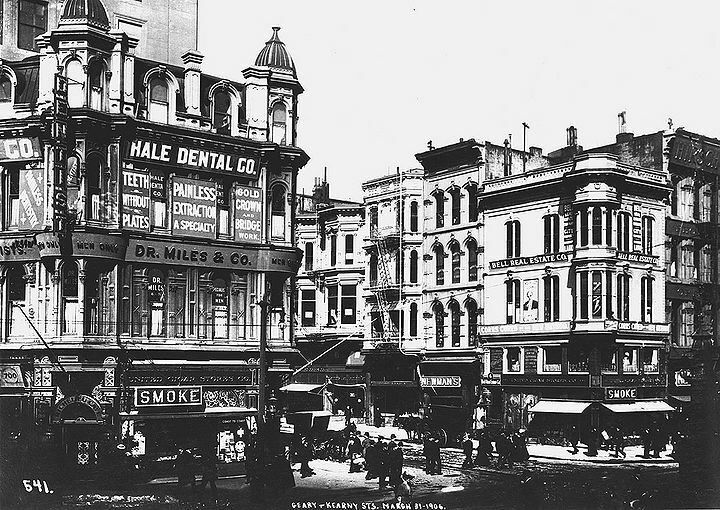 1868 northerly view across Market to Kearny from 3rd Street. 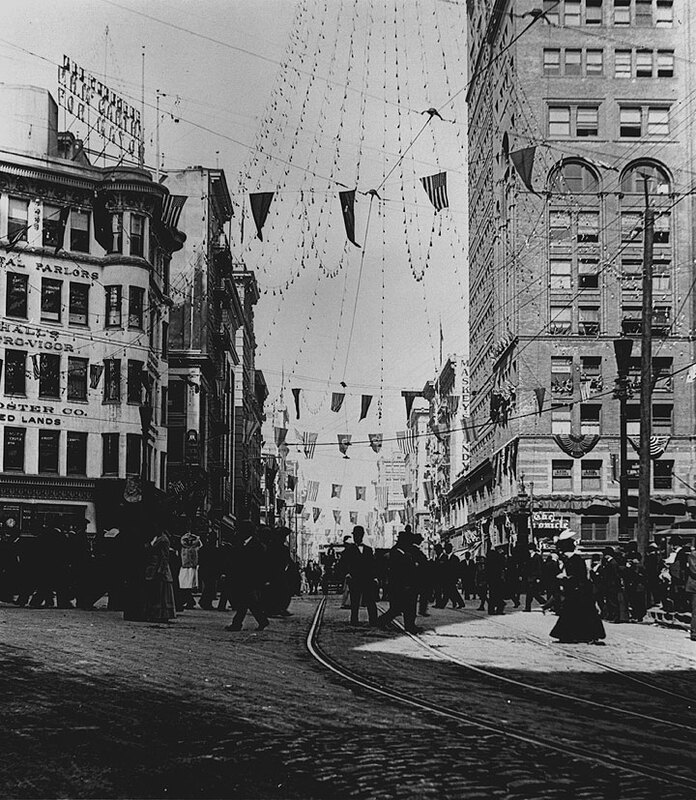 1905 northerly view across Market into Kearny. 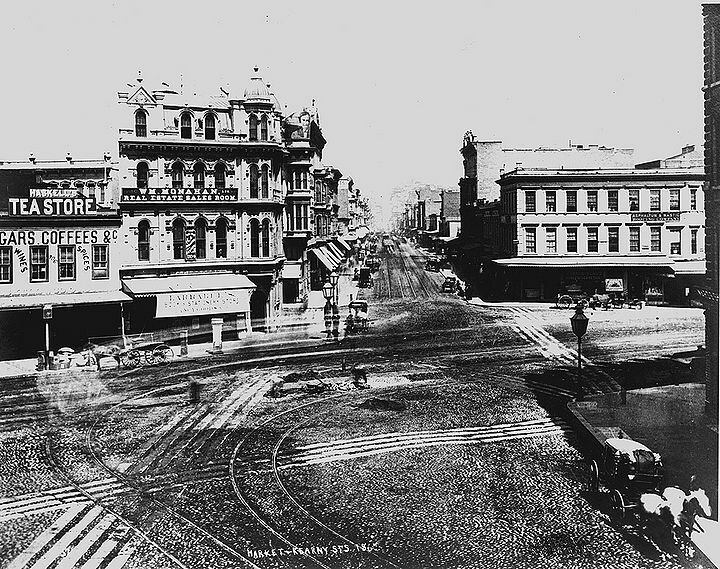 Northwesterly view at Geary/Kearny from Market, just three weeks before the big earthquake, March 31, 1906. 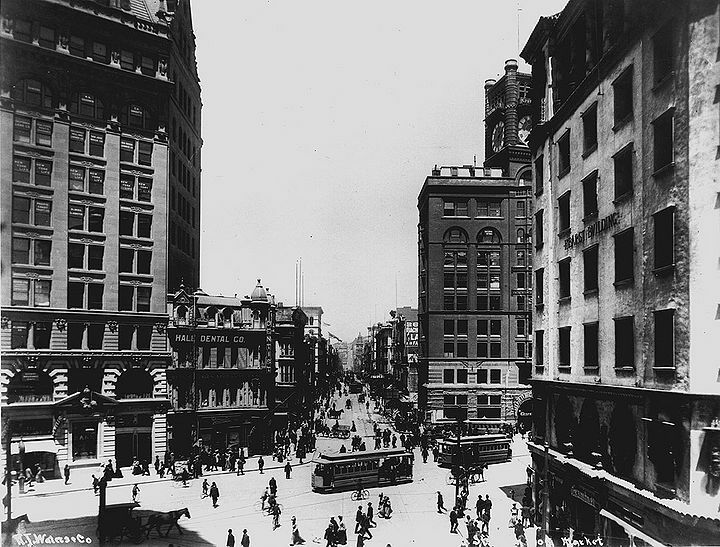 Kearny from 3rd, looking north across Market in 1910. The top of Lotta's Fountain is visible just right of Kearny across Market.